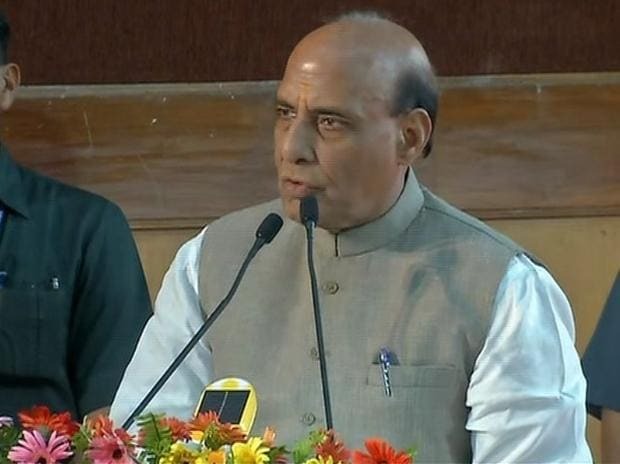 BJP President Amit Shah and senior party leader Rajnath Singh Sunday launched "Bharat ke mann ki baat, Modi ke saath", a month-long exercise to seek suggestions from 10 crore people across the country to help the party prepare its 'sankalp patra' (manifesto). Shah said the exercise is aimed at democratising the process of preparing manifesto and that this "unique experiment" will strengthen democracy. "What kind of country people want and what is their suggestion to achieve this; this exercise will reach out to them to seek their views," Shah told reporters at an event here, adding that it will help the party realise the dream of a New India. Over 300 vehicles will move across the country and over 7,700 boxes will be carried across 4000 assemblies to seek people's views,he said, adding social media and telephonic communication will also be used for this. Singh,who is also the head of the party's 'sankalp patra' committee, said never before such a massive exercise to prepare a party's manifesto has been launched in a country.